Sherri Hill #50245 is a gorgeous ball gown that will definitely make heads turn as you walk in! The top is a halter neck that is beaded and the bottom is the floral embroidered print. It also has pockets! #50245 is one that you don't want to miss out on! Email us about Sherri Hill 50245. If you are checking availability on this dress, please tell us the color and size you are looking for. 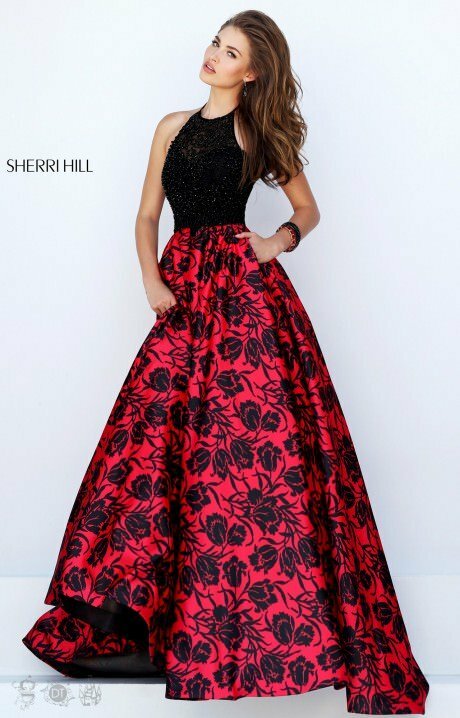 Sherri Hill 50245 was added to your cart!